Situated in the suburbs, this hotel is within 1 mi (2 km) of Brookvale Oval and Warringah Mall. Manly Beach and Luna Park are also within 9 mi (15 km). Situated on the waterfront, this motel is within 1 mi (2 km) of Newport Park and Newport Beach. Mona Vale Beach is 1.6 mi (2.6 km) away. Sydney’s famous landmarks are always in the spotlight – the Sydney Opera House and Sydney Harbour Bridge, Darling Harbour and The Rocks. But maybe you want to go beyond the CBD and see a little more of the city than the average tourist? 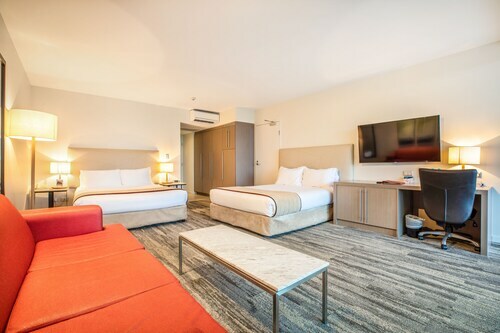 Our Sydney northern suburbs hotels have deals for the other side of the Parramatta River, from Chatswood to Lane Cove. Shopping, markets and nature-based activities are just some of the things you can enjoy when you book your northern suburbs hotel with us. Just 10km north of the CBD, Chatswood is a shopping hotspot with two thriving retail centres – Westfield Chatswood and Chatswood Chase, which has a three-level David Jones and heaps of upmarket fashion stores. The suburb is also known for its Chinese, Japanese and Korean food. If you feel like some culture, you can check out a stage show at Willoughby Theatre Company or take a dance class at Chatswood Dance Studio. Artarmon has an art gallery full of brilliant works and a cluster of fine restaurants dishing up everything from seafood to sushi, located on Hampden Road and Wilkes Avenue. Don’t think that if you go north, you have to be away from the beach. Narrabeen’s three glorious kilometres of sandy shoreline is ideal for surfing and swimming and there’s also a viewing platform, picnic tables and playground to keep you entertained when you’re out of the water. 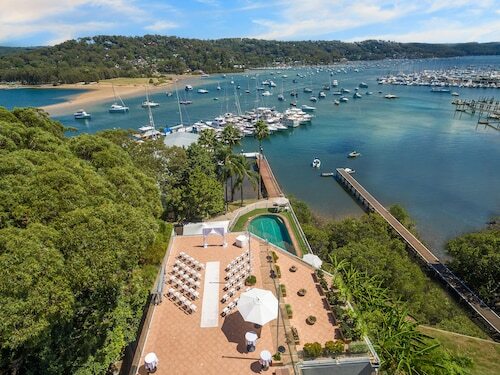 Mosman is well-known for Taronga Zoo, as well as beautiful palm tree-lined Balmoral Beach, a great place for a swim, picnic or boardwalk stroll. Some of Mosman’s bushy shores are part of Sydney Harbour National Park, where you can go on some amazing walks and take in the sweeping ocean and Sydney skyline views from North Head. Just across the Sydney Harbour Bridge from Circular Quay, Milsons Point is where the busy CBD gives way to a residential area that still has a number of good local restaurants and cafes. It’s famous for Luna Park, which has thrilling rides, sideshow games and even concert venues like the Big Top. Want to swim some laps? Drop in to North Sydney Olympic Pool, built in 1937, where you can swim in art deco surroundings with the Sydney Harbour Bridge hovering just overhead. Need more options? Just take a look at our deals below for the full range of northern suburbs hotels to pick from. Don’t forget to spend some time in the Sydney CBD, where there are plenty of things to do, from the shopping and restaurants to the history and beautiful harbour-city sights. Book your Sydney northern suburbs accommodation with us to truly get to know this exciting city! How Much is a Hotel Room in Northern Beaches? Hotels in Northern Beaches start at AU$105 per night. Prices and availability subject to change. Additional terms may apply. it was relatively quiet considering that it is a hotel near a main road. Studio room with balcony was quite spacious. Ability to have a meal at the hotel and or nearby was very handy as was the breakfast. Parking.